Microdermabrasion is a proven safe and effective skin rejuvenation technique that men and women looking for younger-looking skin should try! Are you looking for an effective skin rejuvenation technique that has been proven safe, effective, and worth every dollar paid for it? Then look no further as microdermabrasion is here! According to a study conducted by a team of researchers from the University of Michigan, it may stimulate the molecular changes in the treated skin resulting in its observable rejuvenation. While it has been in use for several years as a clinically tested method for the reduction of surface skin imperfections, from fine lines to age spots, acne, and dark spots, the new research further validates it. 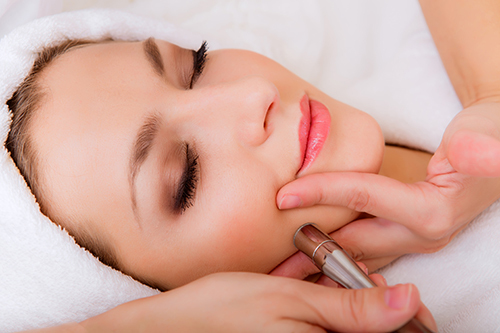 Microdermabrasion is a non invasive technique where a diamond tip with a light suction will be passed over your skin. The diamond tip usually includes grains of diamond or tiny crystals that are sprayed onto the skin. The outer layer, usually consisting of dead skin cells that make the skin look dull, can be removed. The exfoliation technique reveals the younger skin beneath the dead skin cells and stimulates new skin cell production. The light suction at the tip of the diamond tip stimulates blood circulation in the area being treated. Better blood circulation also contributes to faster healing of the treated skin so that the desired results can be seen. As a type of exfoliation method, microdermabrasion has several benefits that make it among the best for men and women who may have found other skin rejuvenation techniques unsuitable for their needs. It’s a non-invasive procedure delivered through a handheld device, typically known as a wand. Your skin will neither be abraded nor wounded past the top layer, the epidermis, since only the surface layer will be cleaned of its dead skin cells. You can liken it to the usual exfoliation method using a wand, such as dermabrasion, but with less pain and more results. It’s a relatively painless procedure. You may feel a mild stinging or scratching sensation coupled with a slight vibration when the wand is applied to your skin but it’s temporary and tolerable. Your dermatologist will not apply a topical anesthesia, unlike in dermabrasion. It’s a quick procedure, too. Depending on the size of the area being treated, you may spend 20 to 60 minutes on the procedure. But you may have to spend a few sessions before you and your dermatologist are satisfied with the results. 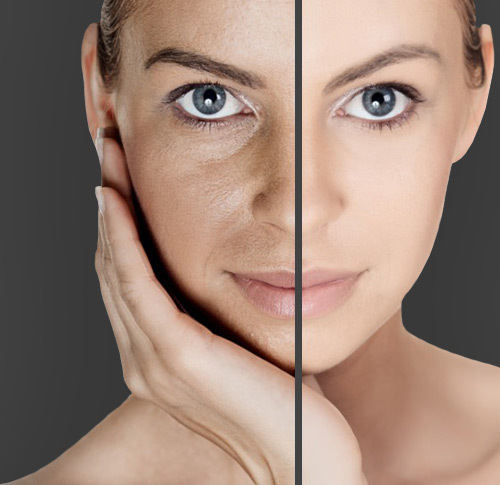 Microdermabrasion is also suitable for all skin types as well as for age related cosmetic skin issues. These include fine lines and wrinkles, hyperpigmentation and age spots, acne and its minor scars, and other blemishes. But it isn’t the be all and end all of getting healthier skin on the inside and out. You and your dermatologist will discuss whether your skin problems may be caused by an underlying medical condition, in which case appropriate medical treatments are first necessary. Microdermabrasion can only be useful in cosmetic skin issues but it’s among the most effective in a dermatologist’s skin rejuvenation portfolio. After the first procedure has been completed, your skin will have a pinkish to reddish glow depending on the type of wand used, the number of passes, and the skin condition, among other factors. You don’t have to worry about it because it will fade away within 24 hours. You may also feel like your skin has been sun or wind burned, a normal occurrence. But in case either or both of these after treatment side effects persist for more than 24 hours, or you have other concerns, you should call your dermatologist for appropriate action. Fortunately, the immediate results after your first microdermabrasion will make these side effects nothing but minor inconveniences. Your skin will have reduced fine lines, wrinkles, and dark spots as well as smaller pores without their clogged appearance. Your acne issues, if you have them, will also be reduced with further treatments. You will also likely observe that your skin has undergone dramatic improvements in its texture, tone and color. You have a radiant glow that makes you look and feel younger than your true age so you have more confidence. But like all skin rejuvenation methods, you must work with your dermatologist in getting the best results. First, you have to follow the post procedure instructions including keeping your skin clean and moisturized, as well as protected from the sun and makeup. Second, you must come back for your succeeding microdermabrasion sessions.